Andrea Ramsey: Bio & Choral Music | Santa Barbara Music Publishing, Inc.
Dr. Andrea Ramsey is a composer, conductor, music educator and native of Arkansas. 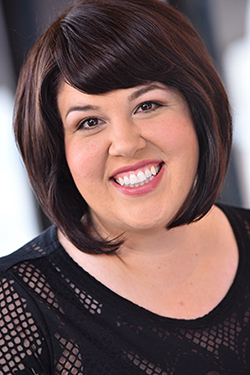 Her teaching experiences range from work with adolescent and children’s voices to frequent guest conducting of all-state and honor choirs, to her current position as the Associate Director of Choral Studies at the University of Colorado Boulder. An active member of ACDA, ASCAP, and NAfMe, Andrea believes strongly in the growth of young people as musicians and human beings through the experience of performing meaningful choral music. Andrea Ramsey has 22 titles published with Santa Barbara.